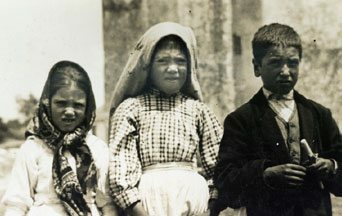 Our Lady of Fatima told Jacinta, Lucia, and Francisco that many poor sinners go to Hell because there is no one to pray for them. “My children, pray for the Church; for all its ministers; pray for the Pope, because an attempt will be made against his life. This place also will be riddled with avenging, and wickedness will progress immeasurably in spite of the faith of a great portion of my people. “The scourge, which I dimly see close at hand, leaves my heart with a wound which is going to last forever: a considerable loss of souls, faith ruined, Baptism tarnished. All those villanies I am seeing will transform a large number of my children into bad Christians. France will perish – not the whole of it, but a great many will perish – It will be saved with a very small number… O France, dust from foreign countries will be brought in, even in your own places. You will be unable to send those foreigners back home … You who were so noble, your nobility has been lost. “I have seen everything taking place upon earth. Never – I am telling with my heart of a mother – never had I under my gaze the expectation of similar crimes, of the like in wretchedness: violations, sacrileges, outrages. It is already on this day that I am seeing all those sorrows. O! pray my children! “I make a stop on those sorrows. (Last part of the prophecies of November 30, 1880). A pope in exile has no Swiss guards or walls of the Vatican City to protect him. Like Christ in the Garden of Gethsemane, he relies on God’s Will (as carried out by God’s countless Angels) to protect him so that when his time to die comes, it is in God’s timing, by God’s Holy Will, and not man’s. That “an attempt will be made against his life” should not come as a surprise, since diabolical men, and even crazy men, abound. Nor should the heavenly directive to pray for the Holy Father and for the Church’s ministers seem to us as anything less than logical and, indeed, part of our daily duty. We must, in truth, admit the very great privilege it is to be able to pray for Pope Gregory XVIII in his exile, as well as the Hierarchy and the prelates, priests, and religious who are in communion with him. The hidden takeover, likened to a scourge, has a pandemic effect that is felt worldwide. The salvation of France is still to happen, at the hands of the much-prophesied French Monarch. France will be saved, yes, but there will be very few French Catholics left with the True Faith. The culprit for the loss of the Faith of the French? That the French will invite false beliefs and doctrines into their very homes, in the persons of foreigners: “dust from foreign countries will be brought in, even in your own places. Yet, to our surprise, the beginnings of these crimes against God, His Church, and mankind’s souls has had its beginning much before 1958. And so again, the final message from Our Blessed Mother is an exhortation to prayer. Sometimes it is hard to persevere in prayer, but let us never be beaten in this regard. Prayer is that daily battle which must be fought. Asking our Guardian Angels to pray with us will make the prayers seem easier, and our angels do help us to stay focused, as well.